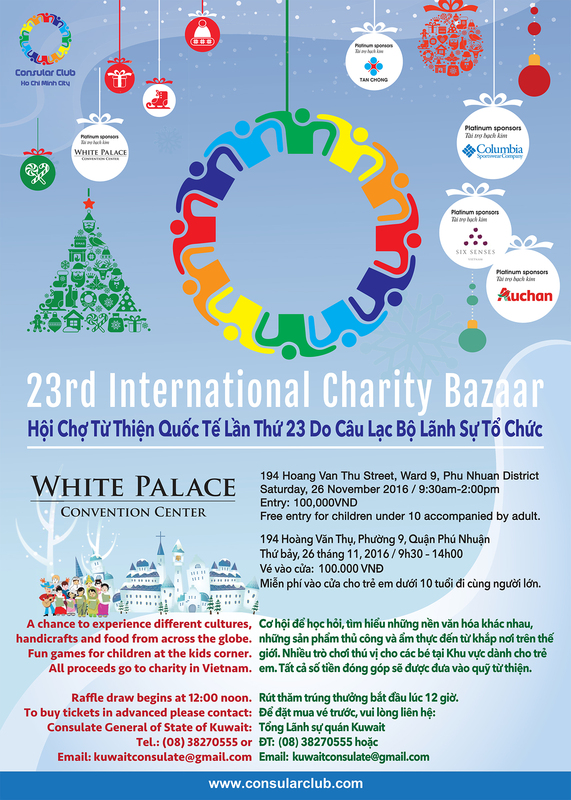 The Consular Club of Ho Chi Minh City, whose members are from the various diplomatic missions in Ho Chi Minh City, will organize the 23rd International Charity Bazaar on 26th November 2016 at the White Palace Convention Centre, 194 Hoang Van Thu Street, Ward 9, Phu Nhuan District. 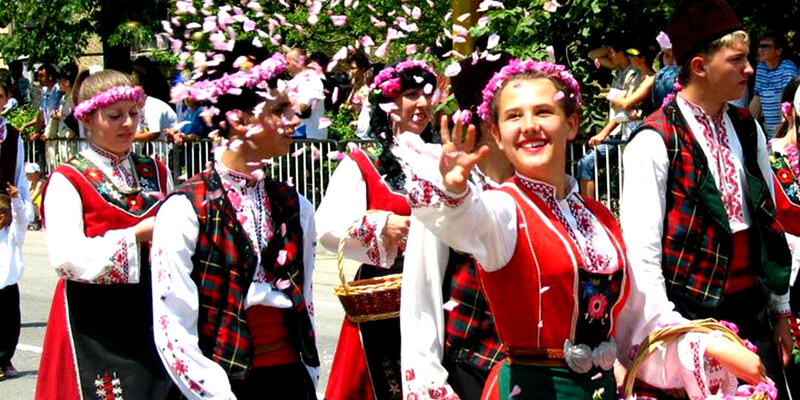 The event begins at 9:30 am and runs until 2:00 pm. 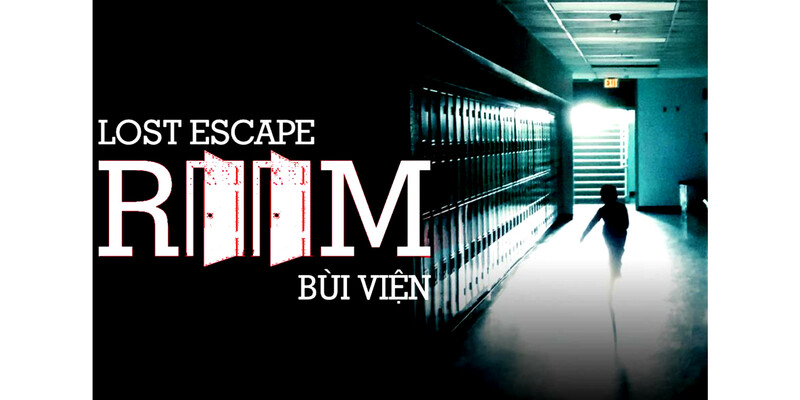 Entry tickets cost 100,000 VND for adults, and children under 10 accompanied by an adult can enter free of charge. 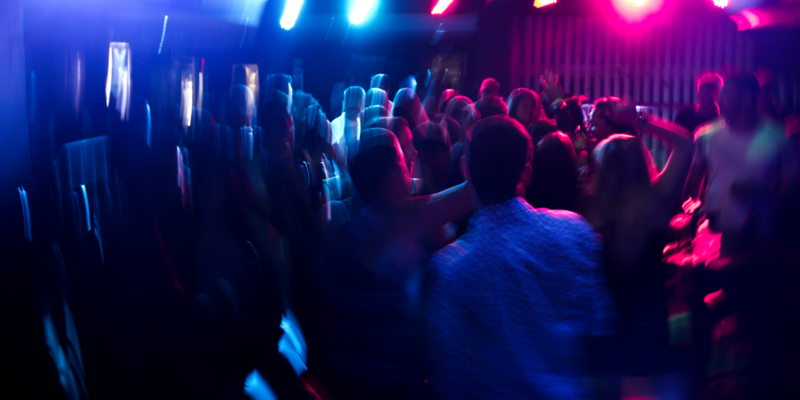 In addition to the chance of purchasing a wide range of international goods and food, visitors can also purchase tickets in the popular Raffle. 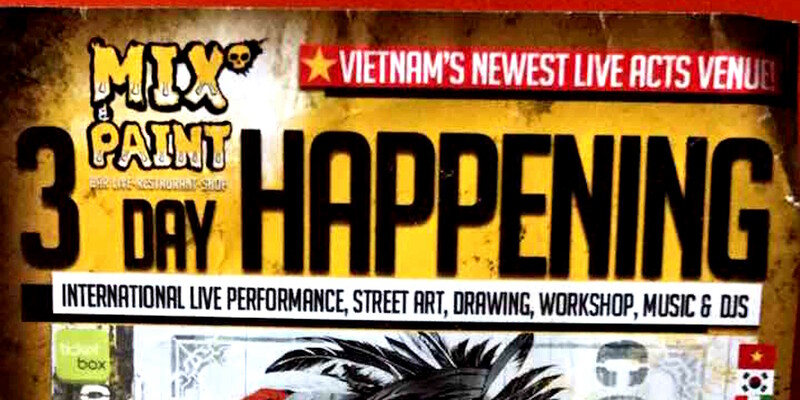 Raffle tickets are available for 50,000 VND each, and prizes include return airline tickets, vouchers for staying at deluxe resorts and hotels in many famous locations throughout Vietnam, spa packages, lunch or dinner vouchers in luxury restaurants in Ho Chi Minh City and much more. 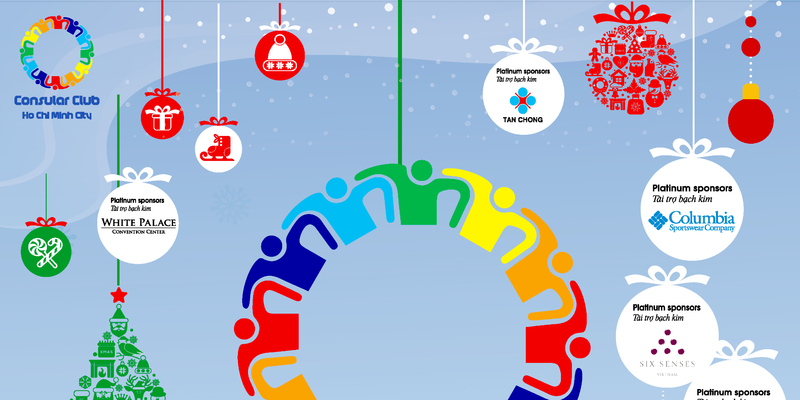 Every prize in the raffle is valued more than US$100. This year’s event is the continuation of the tradition of past International Charity Bazaars’ – selling goods and food from all over the world for a good cause. 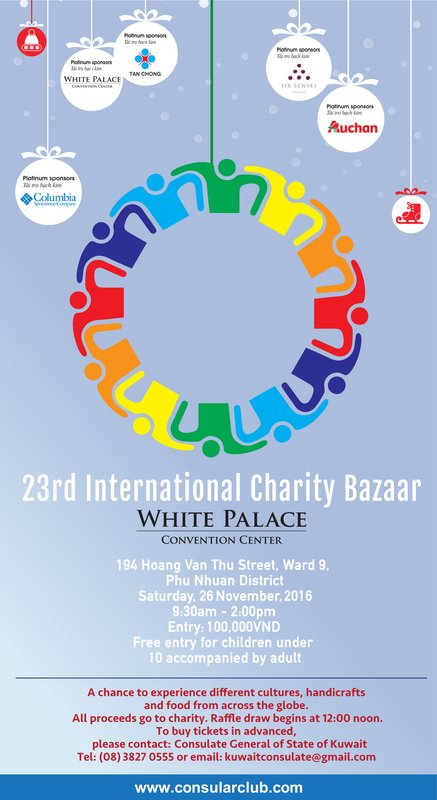 Proceeds from the 23rd International Charity Bazaar will be redistributed to help those less fortunate in the community. Projects supported by the Consular Club through funds generated from the annual International Charity Bazaar range from scholarships to medical care, providing fresh water, building bridges, schools and more. All Consular Club members volunteer their time to work towards improving the quality of life of the disadvantaged people in Vietnam. For further information on the Charity Bazaar (including limited advanced ticket sales and raffle tickets), contact the Consular Club at consularclub@gmail.com or the Consulate General of the State of Kuwait at 24 Phung Khac Khoan Street, Da Kao Ward, District 1, Ho Chi Minh City, telephone: (84-8) 3827 0555.